Back by popular demand, Grimes Public Library is hosting the Borrow ‘N’ Build Block-A-Thon in April and May. As the final weeks of the school year wind down, kids are anxious for summer and ready for our Summer Reading program. However, summer programming at the Library does not start until June 4. The Block-A-Thon is the Library’s way of keeping kids engaged in reading until then. For every 5 items checked out, patrons are offered a block to add to the tower. 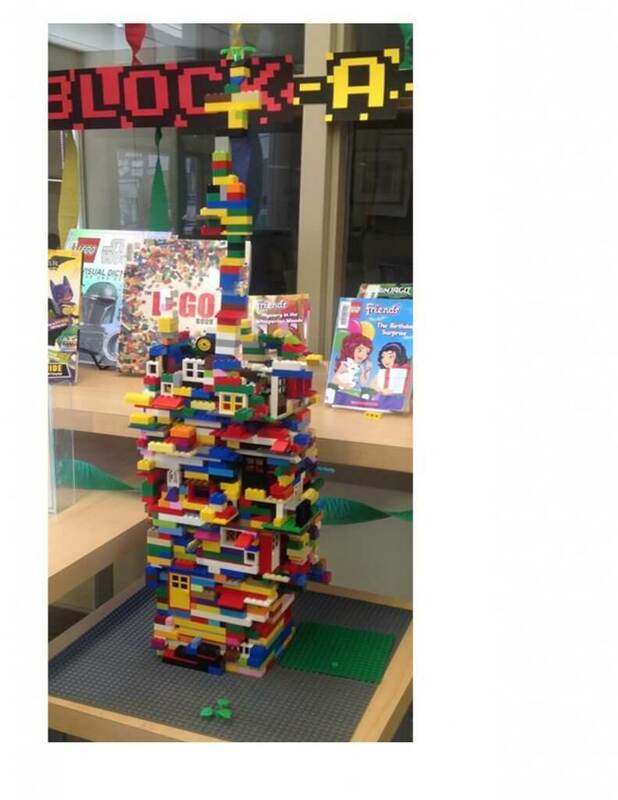 That means, if you check out 40 books, movies, or other library items, you get to add 8 blocks to the tower! The goal is to surpass 1000 blocks on the tower by May 31. “Now that people know how it works, I think we will have more participation. 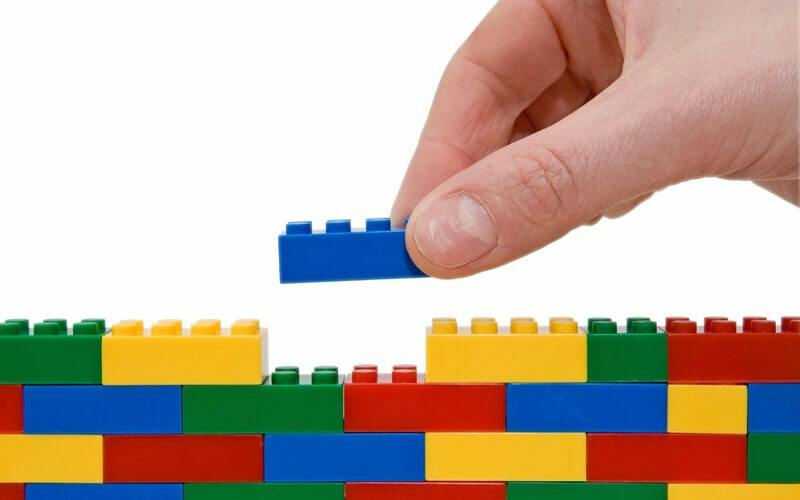 That’s why we feel confident we can get more than 1000 blocks this year. Who knows? Maybe next year we can aim for 1500 blocks!” Fionn says. Stop in often over the next few weeks to watch the tower grow!